Over 1200 social entrepreneurs and investors from 35 countries convened in San Francisco earlier this month to connect ideas with opportunities during the SOCAP 2010 Conference. Kiva was happy to be a part of this three-day discussion, held October 4-6th at the Fort Mason Center. With $120 billion of private capital ready to be tapped, impact investing has attracted the attention of social entrepreneurs in both the for-profit and non-profit worlds. Day one kicked off with keynotes from Jacqueline Novogratz of the Acumen Fund, and our own Co-founder & CEO, Matt Flannery. Matt spoke about the evolution of Kiva's platform and included the mention of a "sleek and savvy microlending site" that was featured on the previous nights episode of The Simpsons! See Matt's full speech here. 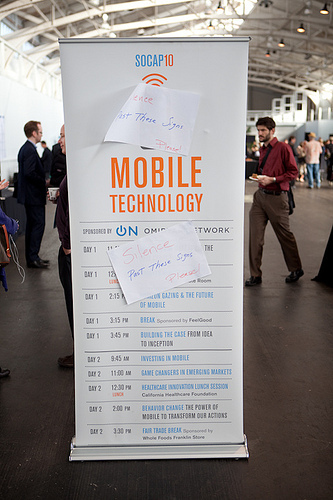 Attendees were able to customize their SOCAP10 experience by attending sessions focusing on multi-track topics. Premal Shah, Kiva's President, was a participant on a panel which discussed failures and criticism. The panel, led by Jonathan Lewis of MicroCredit Enterprises, touched on issues that have shaken the structure of three organizations (Kiva, Unitus, and Shorebank International). Premal spoke about the balance between users, borrowers and MFI's that must be maintained for Kiva to successfully grow and create positive impact. Premal mentioned the importance of transparency for Kiva. "Warts and all," as he described it! Watch the full discussion here. Other popular sessions included discussion on the development of mobile platforms for social good. Mobile phones are no longer a luxury in many parts of the world, enabling millions access to services via SMS messaging and mobile communication. 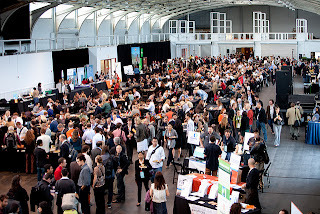 SOCAP10 was a great event for Kiva to be so involved in again this year. Our mission furthered by great minds coming together and sharing innovative ideas! As we are now growing older (check out our 5th Birthday campaign! 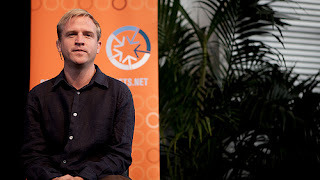 ), we are finding it ever more important to innovate and get ideas flowing - make sure to join the flow of ideas by watching some of the SOCAP10 talks and sessions available for streaming!